Did you know there are only three ways that creditors can collect your debt? They can retain a collection agency, get a collection attorney or charge-off and sell your account. In most cases, collection agencies get a commission on the debts they successfully collect. In fact, most will get 25% to 50% of whatever they can recover. When it comes to collecting debts, a collection attorney is the same as a third party collection agency and guided by many of the same rules and regulations as specified by the Fair Debt Collection Practices Act (FDCPA). Of course, an attorney can pursue legal action against you but does have to abide by the same FDCPA rules. When it comes to older or seasoned debts, the standard procedure is for the lender to sell them off to a debt purchaser. Many creditors will package up thousands of accounts and millions of dollars worth of debt and then sell them to the highest bidder. When one of these companies purchases your debt, they become the new owner and must adhere to the same collection laws as a third party. 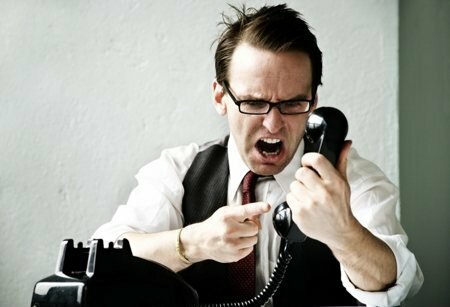 If a debt collector contacts you, don’t make the mistake of talking to him without knowing your rights. There are unscrupulous collectors who will lie or try to intimidate you. They are seriously motivated because their compensation is usually based on a percentage of the debts they can collect. They will do and say just about anything to manipulate you into paying your debt. For example, don’t believe any debt collector who says that your only option is to pay your balance in full. This is hardly ever the truth and you almost always have options. While debt collectors have the right to try to collect from you, they never have the right to harass you. If you know the FDCPA, you can stop any harassment and even phone calls from collection agencies entirely. First, you could turn the tables on any debt collector by obtaining as much information from him or her as possible. You can ask questions such as “who did you say you were and what is your company”. You can ask what state the collector is located in and how you supposedly incurred the debt. You can use language such as “according to the FDCPA…” which alerts them to the fact that you are aware of your rights. Or you could say “I do not recall this debt” so the collector is forced to validate it. If this doesn’t stop the phone calls, you need to send a cease and desist letter to the debt collection agency. This letter should include the demand that the agency stop calling you at home, on your cell phone, at work or at any other location. You should send the letter as registered and return receipt requested so that you will have proof that the collection agency actually received it. If you’re up to your neck in debts, a better alternative for dealing with them is to opt for debt settlement. Call our toll-free number and let us explain how debt settlement works and how you could benefit from it. Thousands of American families have let us settle their debts and save them thousands of dollars in the process. Plus, we charge nothing up front so you have nothing to lose by giving us the opportunity to help you.